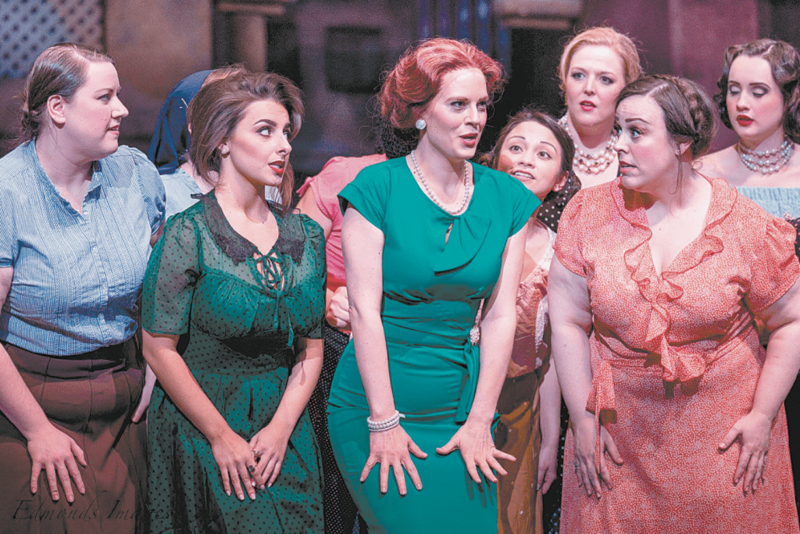 Lauren Marino, above second from the left, in last season’s performance of “Elixir of Love,” and her fellow members of the Opera Birmingham Concert Choir are prepping for the Sounds of the Season concert on Dec. 16. Photo courtesy Opera Birmingham. In “Miracle on 34th Street,” Kris Kringle speaks the words, “Christmas isn’t just a day, it’s a frame of mind.” What better way to get into that festive frame of mind than listening to a yuletide carol being sung by a choir? Whether it be a carol or a newer classic, Opera Birmingham’s 12th annual Sounds of the Season concert will be singing it out Dec. 16 at Samford University’s Brock Recital Hall. A native of Vestavia Hills, Marino studied vocal performance and advertising during her time at Samford University. Outside of her job as an account executive with Big Communications, Marino has taken to the stage with Opera Birmingham in multiple installments of Opera Shots, last season’s “Elixir of Love” and the 2016 Sounds of the Season – last year’s holiday production was cancelled due to snow. “I am singing ‘Winter Song,’ by Sara Bareilles and Ingrid Michaelson, as a duet with another member of the company, and I have another solo that I am excited about,” Marino said. Her second song is being kept a surprise for guests, but Marino assures that is will be something many people probably wouldn’t expect to hear at performance by an opera company. In addition to celebrating the season through song, Opera Birmingham has teamed up with the U.S. Marine Corps to give concertgoers the opportunity to give back during the Christmas season. On Nov. 26-30 and Dec. 3-5, people who buy tickets at the Opera Birmingham office will get a 50 percent discount if they bring a new, unwrapped toy. The toys will be distributed through the Marine Corp’s Toys for Tots to children whose parents cannot afford to buy gifts this Christmas. For more information, visit operabirmingham.org.